On February 21, 2014, Jill Rapport hosted a half-hour special focusing on the story of several dogs in a few shelters across the country; and the importance of giving rescue dogs all across the country a second chance. Along the way, Jill introduced the viewers to several long-time dog rescue advocates including Betty White, Lou Wegner, Bryant and Hilary Gumbel, Lindsey Vonn, Bernadette Peters, and Emmy Lou Harris. “Best In Show with Jill Rappaport” was structured like an awards show, focusing specifically on three categories of rescue dogs with each category “judged” by a celebrity. Blue Buffalo was generous enough to donate a year’s worth of food to each category winner as well as a giant merchandise prize package. Subaru was the second sponsor mentioned. Subaru has been a long-time partner with the ASPCA and is involved in dozens of pet placement and awareness events every year across the country. Betty White moderated the “Sizzlin’ Seniors” category; featuring entrants Sophia, Dorothy, Blanche, and Rose. Quite often, dogs are brought to shelters or abandoned because they are old, aren’t as photogenic, or the perception is that they will experience mounting health problems. On the contrary, senior rescue dogs can be a great addition to less active homes. Typically, they don’t require a lot of walking or exercise, they leave the shelter in good health, and they still can have many great years of companionship. A lot of people want that ‘cute, new puppy’ look, but seniors are just as good looking and can easily integrate into many types of households. The winner in this category was Rose, determined by Lou Wegner. The “Mutts and Tripods” segment was gust hosted by Bryant and Hilary Gumbel. They, along with Jill, visited Main Line Animal Rescue in Phoenixville, Pennsylvania where they work to heal and rehabilitate animals that have lost, or come in with sever limb injuries. Dogs with three legs aren’t something we see every day, so most people are cautious about them – and their health and quality of life, but according to the experts at Main Line, these animals are resilient and have the same life expectancy as their four-legged counterparts. It is amazing to see how well equipped some rescues are across the country – Main Line has its own surgery room! Mutts are another often overlooked category. Mutts bring a unique dynamic to any family. They are original, have lots of fun traits and quirks and truly are one-of-a-kind. The representative from Main Line said that mutts are often seem more appreciative when they are taken home. The dogs in this category were Carmen, Walter, and Samuel. Bryant chose Samuel as the winner. Lindsey Vonn shared that she chose her rescue dog because she was looking for a companion while she recovered from a knee surgery. As it turns out, the dog she connected with was a dog who had leg surgery as well and had six pins in one of his legs. It seems like they were destined to be together. Jill showed us the ASPCA in New York, and their shelter downtown. There, we were introduced to a pair of pitbulls who were part of a fighting ring, but rescued by the police and turned over to the ASPCA. These dogs were running around, licking, chasing toys, and didn’t at all live up to the pitbull stereotype that most people have. People are afraid of “pitbulls” but quite often haven’t met one, and don’t realize that any dog, of any breed, can be dangerous if they are raised in the wrong environmental. Bernadette Peters was the guest for this segment and introduced the dogs in the “Pitts Putting On The Ritz” category. The dogs were Fiona, Onyx, and Patriot. The winner was Patriot. Bernadette Peters and Mary Tyler Moore co-organize the annual Broadway Barks event, bringing dogs to Broadway once a year. They host events on the street where you can meet numerous adoptable dogs and cats, typically between shows on a Sunday, so you can meet Broadway stars, and maybe even see some animals i the theater before the show! Here is a list of links to the shelters and guests of the show. This entry was posted in advocacy, events and tagged events, rescue, television on March 29, 2015 by dexterkelly. All eight finalists have been selected and the award was presented in October during a special on the Hallmark network. Watch the nomination videos at the link below, and read the story of the winning dog at the bottom of this page. These stories show the incredible spirit and resolve of our canine friends. This entry was posted in Uncategorized and tagged events, heroes, television, video on January 1, 2015 by dexterkelly. Fox aired this first ever prime time animal telethon on Thanksgiving, November 27, 2014. It was produced by Hilary Swank and Michael Levitt, and hosted by Hilary Swank and Jane Lynch. The two-hour broadcast was star-studded, drool-inducing, laugh-inspiring, tear-jerking production for canine adoption advocacy and to raise money for the PetFinder Foundation. The Foundation provides grants to save the lives of animals in need. Their goal is to prevent euthanasia of adoptable animals. In a fun, lighthearted spirit that set the tone for the evening, Swank and Lynch opened the show with a skit on an airplane full of dogs. With Lynch, as the pilot, they ‘landed’ the plane at the hanger where the show was staged. They introduced the major points of the show: Several award categories, an appeal for donations made by text or through the website (fox.com/causeforpaws which is impossible to forget given how frequently it was mentioned in the evening), several pre-recorded segments highlighting organizations dedicated to dog adoption, cruelty prevention, and rescue; and some fun and games thrown in for good measure. Viewers wishing to adopt the dogs shown on the broadcast could go to the website (fox.com/causeforpaws) and have their name added to a list of people wishing to adopt them. Contact information would be forwarded to the respective agencies and pet parents would be chosen by them to be offered adoption. An appeal was also made for foster homes for dogs. There was also an awareness purpose to the show as well. 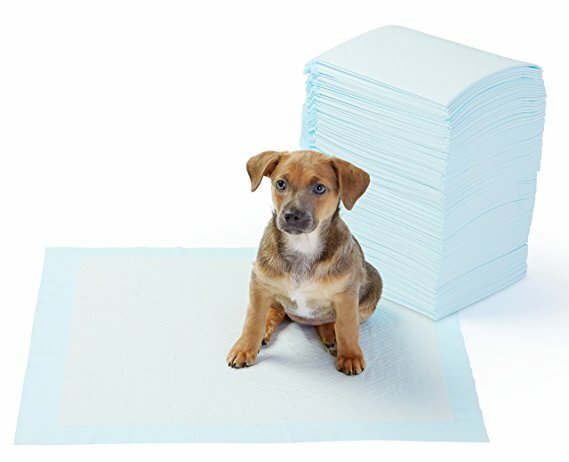 Several stars made comments about the true temperament of pitbulls, the importance of spaying and neutering, Black Dog Syndrome (black furred dogs are overwhelmingly left in shelters), 25% of shelter dogs are purebreds, and that Beagles are the preferred breed for laboratory tests because they are one of the most gentle dogs. – One of the adoptable dogs Paula Abdul was showing started walking away from her and nearly pulled her down a few stairs. – An energetic puppy ran between Christen Chenoweth’s legs, prompting her to say that was the most action she’s had in two months. – Wayne Brady concluded his improv song “I Love Puppies” about dog with an audience-selected name of Egress, which included references to “calamity” and “colonoscopies”. The worst part of his song was at the end, when his fictional dog dies from his GoPro colon examination. A terrible way to end a song at a dog rescue and cruelty-prevention fundraiser. – Betty White who was talking about how senior shelter dogs are mostly ignored. Either she is getting really old or the teleprompter operator was doing a terrible job because I’ve never seen her struggle with lines like that. – Kathy Griffin remained surprisingly G-Rated and clothed doing a skit where she challenged a professional show dog to compete against her dog Larry. The only thing the editors had to censor was when Larry relieved himself on the lawn during recording. By far the most powerful story of the night was the story of John “E.J.” Murray who moves dogs from shelters in California (where the average stay is 4-5 days due to the high kill rate) to shelters in Canada where they are rescued. In two years, he has put over 350,000 miles on his minivan! Toyota stepped up to the plate and gave “EJ” a brand new Sienna. It happened to be in his team’s favorite color. (Liverpool Football Club). His inspiring motto and theme song is “You’ll Never Walk Alone”. A major segment of the show was the award categories. They were mostly from online clips of dogs doing cute things. The winning dog and pet parent were featured on the show and given a giant Golden Bone award and a Cause for Paws dog tag. (P.S. I want one of those! They look awesome!) The dogs were fun to watch, but some of the human speeches were painful. The puppies nominated for this award were shown throughout the show. All were available for adoption through the Fox website. SPOILER: At the end, Jane declared all five puppies in this category to be the cutest. These were the entrants. The winner was Dog Dance Party. The winner was Dog Plays Waltz on Piano. Presented by Miranda Lambert, a video montage shows the work Bryn Donnelly does going around the country improving shelters. This is the first annual presentation of this award, was given to its name-sake. It will be given to people who make a difference significant to people and their canine companions. Sam founded the Sam Simon Foundation which adopts dogs from shelters and then trains them as assistance dogs for the deaf and for veterans. The foundation also runs a mobile free spay and neuter van in L.A. and conduct free surgeries for dogs from low income households. The award was presented by Pamela Anderson, a noted animal welfare advocate and long-time friend of Sam Simon. The was also a special performance by the Olate Dogs. I’m lucky to get my dog to shake a paw on command, let alone ask him to ride a scooter like the Olate family does! Max Greenfield had to pick, out of a lineup, which hound he had met before the show started. Dogs dressed in costume items were shown on the screen and Sharon and Kelly Osbourne had to buzz in to guess which celebrity they resembled. Kelly won guessing three correct answers to Sharon’s two. For some, the resemblance proved to be uncanny; Samuel L. Jackson, Donald Trump, Tina Turner, and Julia Roberts. Three child contestants from the show Master Chef Jr. got their faces lathered up in peanut butter and let puppies lick them for 30 seconds. Shawn was declared the winner, having the most (puppy safe) peanut butter licked from his face. Jane Lynch, Hilary Swank, Randy Jackson, Julianne Hough, Sherry Osborne, Kelly Osborne, Miranda Lambert, Pink, Max Greenfield, Sohpie Munn, Christen Chenoweth, Miley Cyrus, Josh Duhamel, Amber Riley, Wendie Malick, Betty White, Olivia Newton John, Roselyn Sanchez, Channing and Jenna Dewan-Tatum, Paula Abdul, Kathy Griffin, Fergie, David Arquette, Rebecca Romijn, Jerry O’Connell, Gavin Degraw, Cesar Millan, Scarlett Johansson,Wayne Brady, Emmy Rossum, Pamela Anderson, Kaley Cuoco-Sweeting, and Queen Latifah. The only person missing, in my opinion, was Sarah McLachlan. 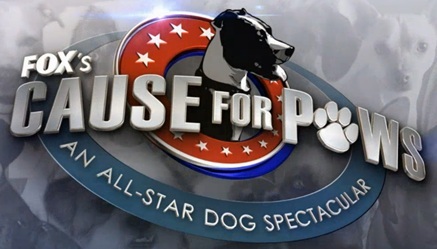 Overall, it was a great production, full of information and avenues for people to get involved in adopting, rescuing, advocating, or simply donation to worthy canine causes. It had tremendous star power behind it and I hope it comes back next year! Did you watch this as well? What did you think? Share your comments at the top of this post! UPDATE: Zap2It calculates 4.55 million Live and Same Day viewers of the special! Woo! All the screenshots are copyright 2014 Fox and its related entities. This entry was posted in advocacy and tagged advocacy, awareness, shelter, television on November 29, 2014 by dexterkelly.